Note: This post was last updated on January 23, 2019. I am back to writing my Colony Six series. 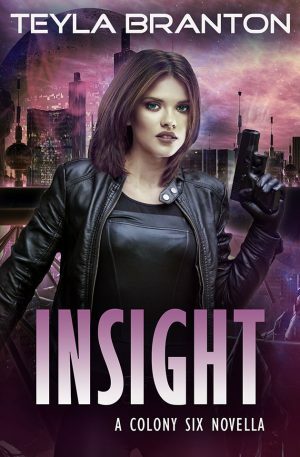 I’ve recently finished writing a prequel novella for the series, and it is being released as I update this post. Growing up in the Coop for my characters was so fascinating that I wanted to explore it a bit more, as well as Reese’s enforcer life in Estlantic. You can read more about this novella here, and the retailer links will be there as well. This novella will be free for all readers as an introduction to my series, but does NOT contain the intricacies of a full-length novel. I’m also finishing up a quick read-through of a romance novel I previously released with a publisher. This included extensive rewriting at the beginning of the book, and chapter rearranging, so I’m waiting on an editor to finish with it before releasing. I’m also not sure of the title. It was previously called Saving Madeline, but I’m thinking about calling it How Far. As per my agreement with my former publisher, I need to change the title. 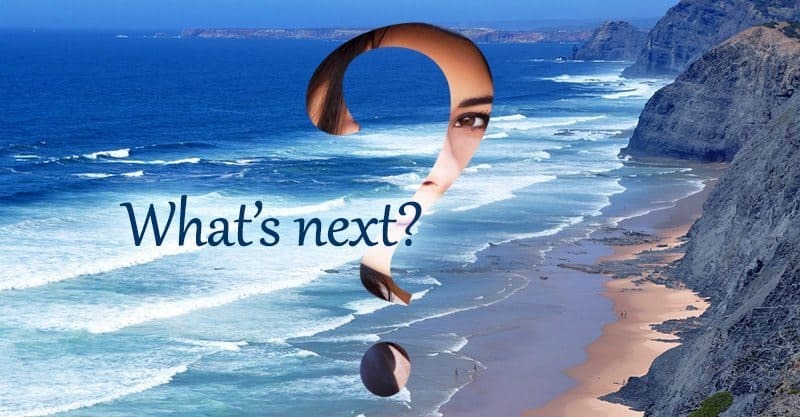 I’m a little iffy on this change, however, because How Far sounds more like suspense, and though there is suspense in the book, it’s more a romance. So will the next book be a Teyla or Rachel novel? While I’m always thinking ahead on plots for both my romance and my sci-fi/fantasy, I usually only do actual writing on one book at a time. I love to immerse myself in the world. So now that this novella is finished, I plan to write and put out the rest of the Colony Six series as quickly as I’m able. There will be four more full-length novels for a total of six full-length books, plus the introductory novella. I’m planning a brand new Rachel Branton series that takes place in a Midwest town. (I know the series name, but it’s all hush, hush until the first book comes out!) The first novel is already strong in my head and I’ve written down a bunch of details and have character outlines. At this point it’s just a matter or carving out time to get the rest on metaphorical paper. I’m super excited about this series. I’ll probably intersperse writing this series intermittently with my new Teyla Branton Colony Six series. It’s really fun for me to switch back and forth. I think it makes the ideas fresher and keeps me from being repetitive. 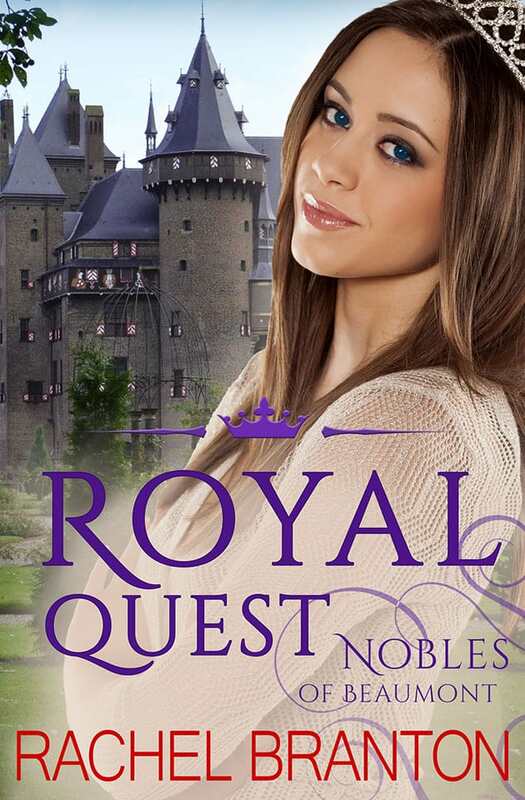 I also have two novellas, Royal Quest and Royal Dance that were originally written as part of the Royals of Monterra Kindle World, published by Amazon. With the dispersing of that program, I received my rights back. So now I’ve taken everything mentioning the Royals of Monterra, changed certain names, and invented a new location. 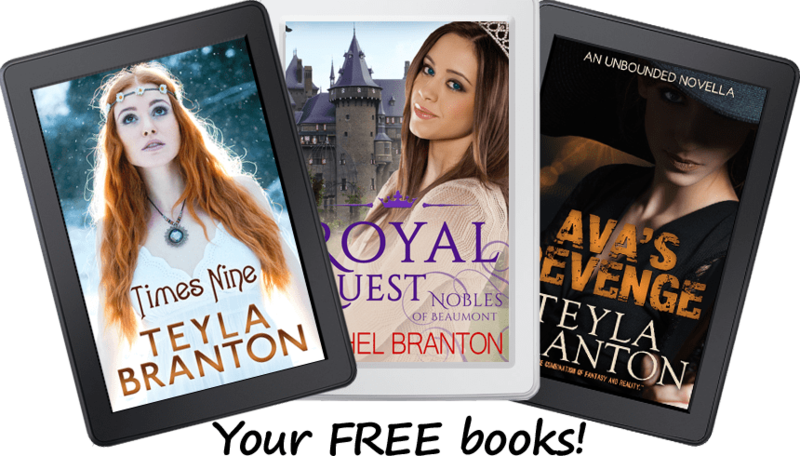 This series of novellas will now by known as Royals of Beaumont. These are stand-alone, but each book will be connected. Royal Quest will actually be book two when I’m finished, and Royal Dance will be the third book. 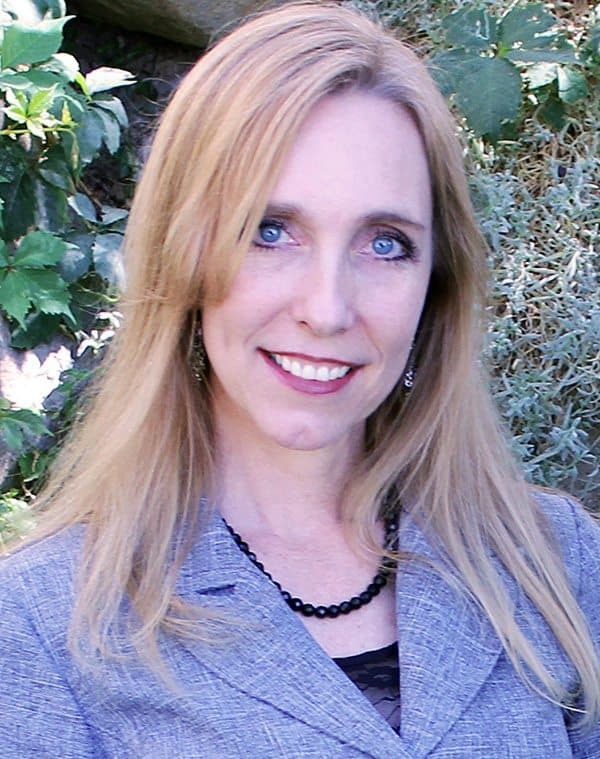 I plan to write a first book (Royal Kiss) and a fourth (Royal Time) to round out the series. Imprints—yes! There will be more books in the series, as soon as I can get to it. I’ve been waiting a really long time to write more of these, but after getting the republished so quickly, I need a little change. Writers are sometimes fickle that way. We must go where the story calls. And yes! There will be another Unbounded series. I’ll be writing a second generation about Erin’s daughter as soon as I finish Colony Six. I wish there were more of me to write these all simultaneously. I need a couple clones or to figure out how to write faster! I also have story running through my head about a family of witches (well, I don’t call them that), and I’m looking forward to someday telling their strange and fun stories. It’ll be paranormal romance, I think. But will probably end up being suspense, lol. So that’s the plan. Unless some my characters hijack me and force me to do something else. Which they have been known to do. They are very insistent at times. If so, I’ll update this blog with whatever is current. Thank you for your support. I really appreciate my readers. I couldn’t write and publish stories I love without you! I’m really excited about all of your new books, but especially the Unbounded series. I can’t wait to read the new books and thank you for being such an amazing writer!!! Thank you for the updates I’m not really into Sci/phi but love the rest am starting on the house of lies. I really like your page it has made my day. Your writing is phenomenal keep up the good work. Hi Karen. Thank you so much for your kind words! I’m so glad you’re enjoying my books. I love your books! I just read your prequel to the Autumn Rain series an absolutely loved it! I have all your books except the colony ones and loved them and now my daughter’s read them and read them over and over again! Thank you so much for sharing your talent. I’m sorry for your rough time the last few years I hope it will all go better for you now. Thanks, Tammy. I’m so glad you enjoyed it. I’ve been wanting to write it for a long time, and now that I have the rights back, it’s been so fun to revisit the series. I’m glad you’re still with me. It has been a long three years, but things are going better now! Thanks for the update, Rachel. I love your books. Can’t wait for the new ones to come out. Thanks for visiting. So glad you are enjoying my books! I love the Unbounded series. I am on the third book right now. Keep up the good reads. I have read all the Unbounded books, not once but four times. I keep them on my Kindle to read again if I can’t find any books to read that interest me at the moment. Hi Barbara! That is so great. Thank you for letting me know. You made my day! Having trouble sending this. Hope you get it. I got it. I’ll check in to what is wrong with the Catchpa. Thank you! Enjoyed the imprints series and can’t wait for visions! Thank you! Visions will be out this weekend. I’m so excited! Teyla, I’m so EXCITED for VISIONS!!!! I love both Unbounded and Colony Six. I am looking forward to the next installations and to the new paranormal series about witches you mentioned! Yay! Thanks for letting me know! I can’t wait for the series either, lol.